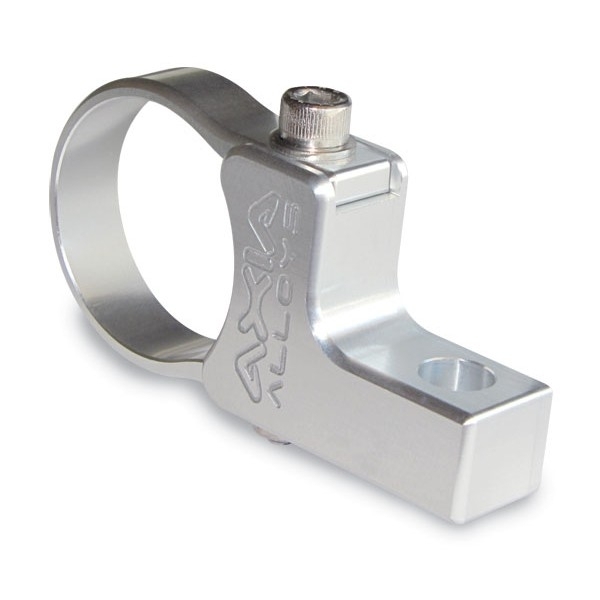 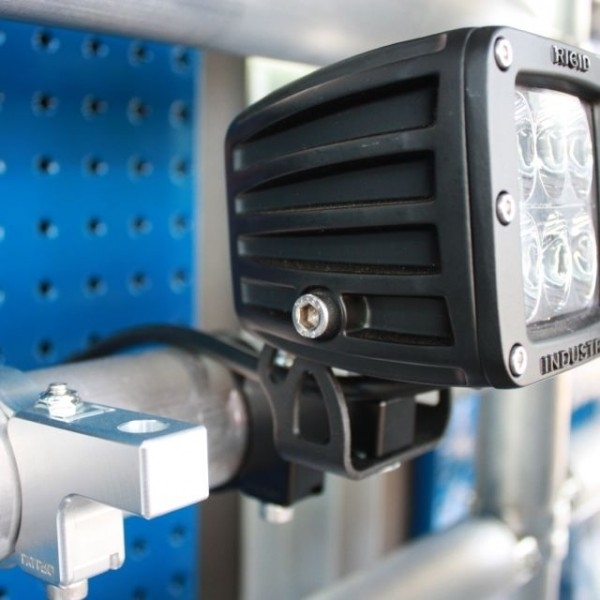 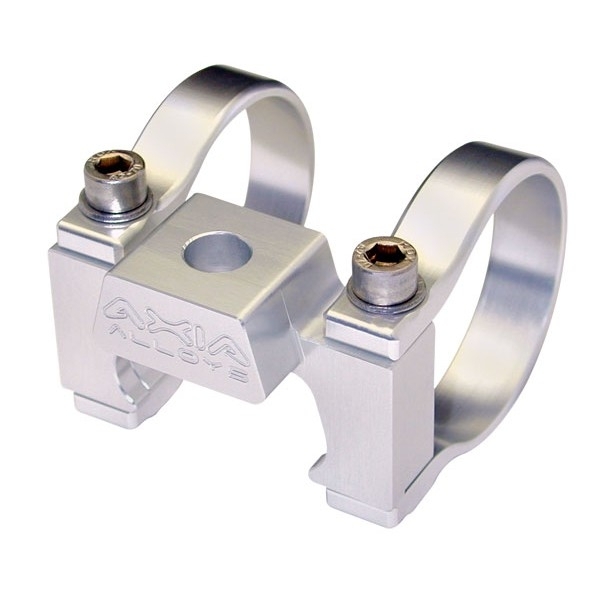 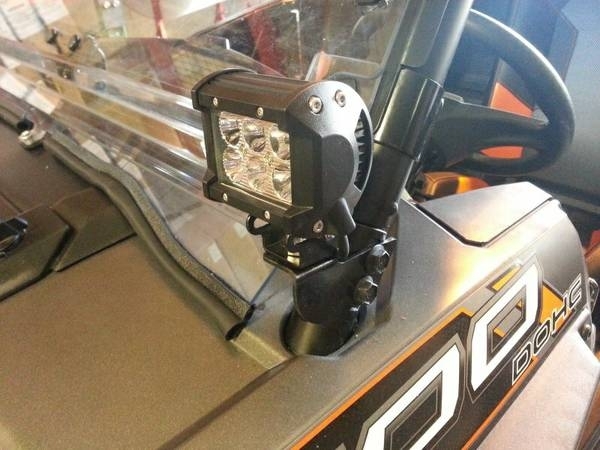 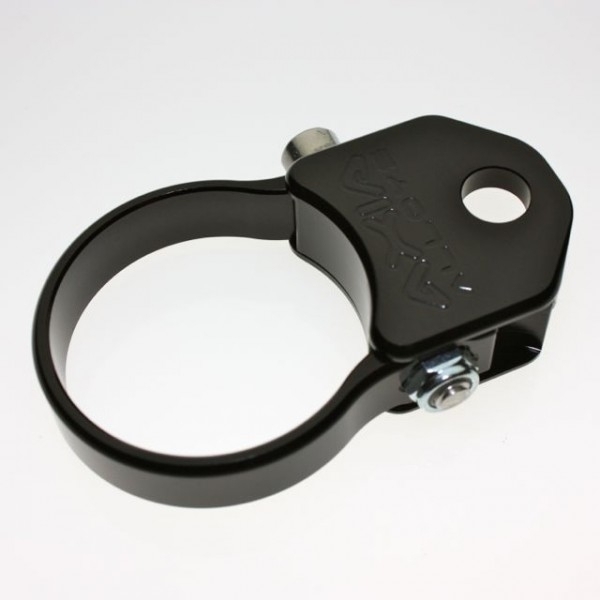 This small light mount allows you to clamp a wide variety of offroad lights directly to your front bumper or cage. 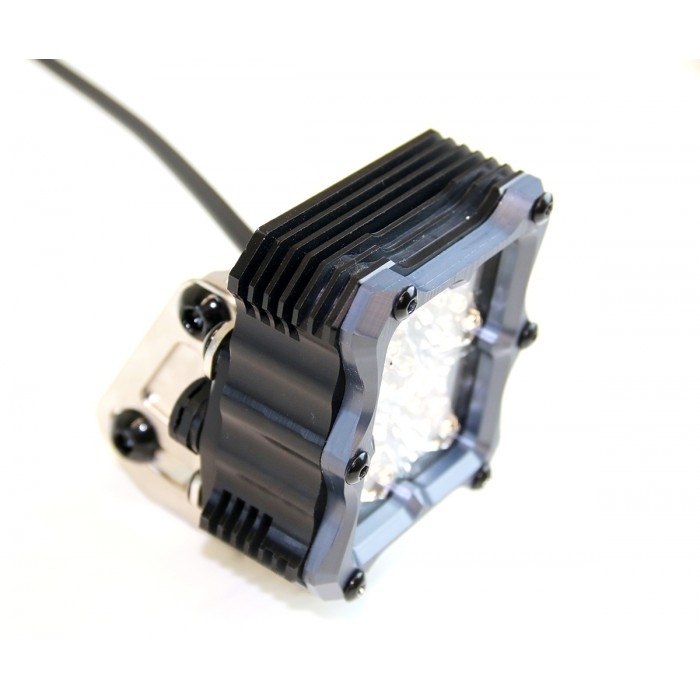 It can be mounted with the mounting hole in front of the tubing if there are clearance issues or behind the tubing for a very clean install. 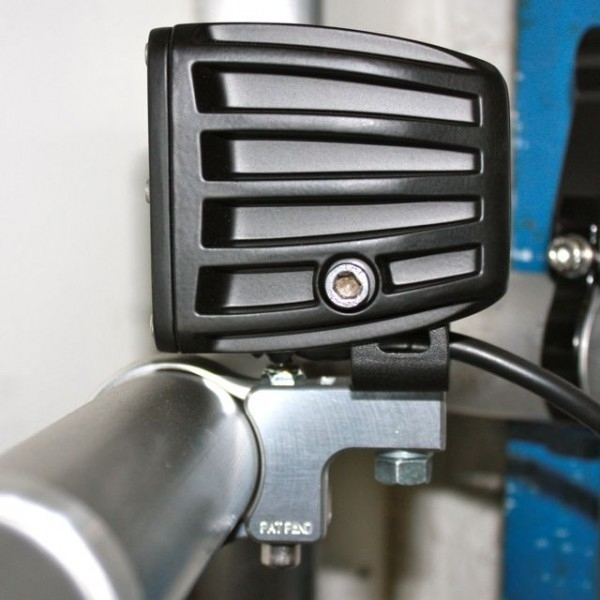 No need to purchase an expensive light bar or grind away expensive powder coating to weld on light tabs. 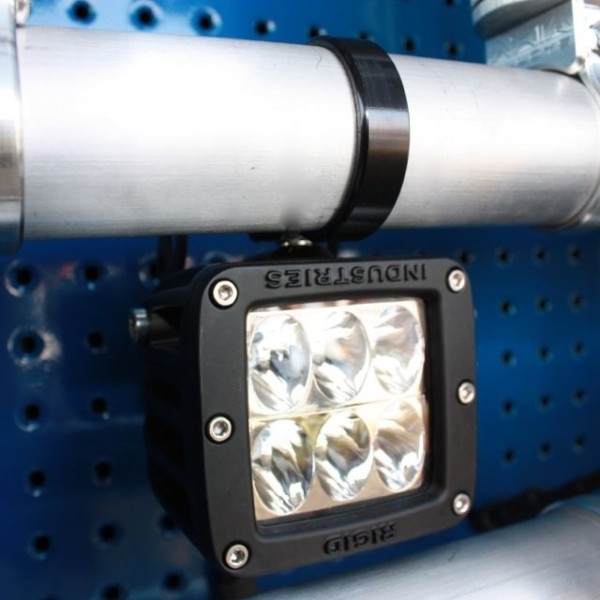 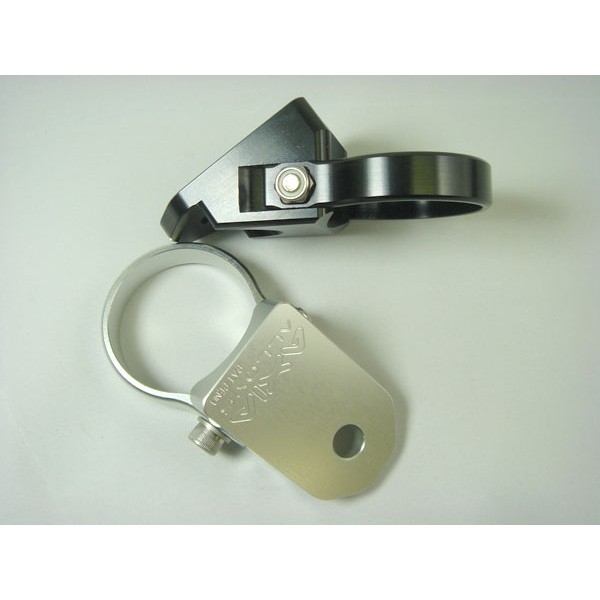 These clamps allow you to put your lights wherever you would like them.